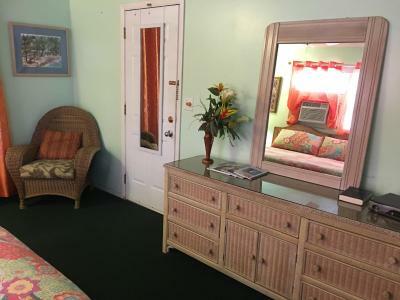 Lock in a great price for Eldemire's Tropical Island Inn – rated 8.6 by recent guests! Tropical beauty and charm. Friendly and helpful staff. 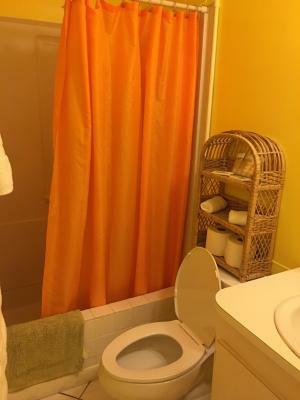 Perfect location, quiet and comfortable. Bob provided stellar advice and the room binder gave additional information that guided our stay. 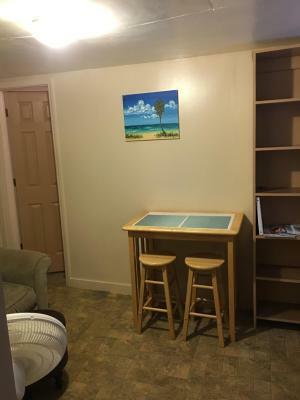 Room was perfect for our needs and allowed us to make meals and coffee before adventuring. I became quite smitten with the rooster who lived outside of our room. We enjoyed walking down to Smith's Cove for picnics. The location was good to George Town but it still is a mile walk into town . The Cosy Cottage was just perfect. 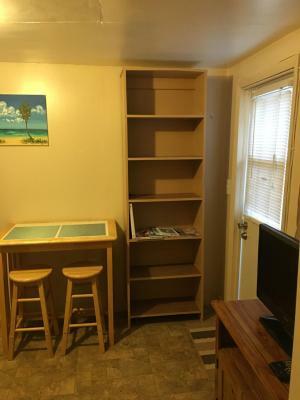 It's like a one bedroom apartment, a home away from home. Private and secluded. 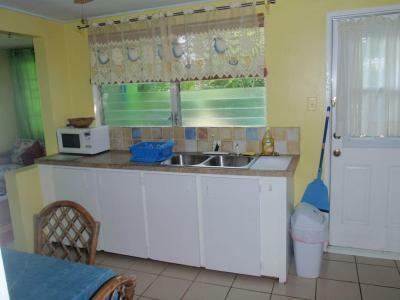 There is a kitchen so one can cook as things are quite pricey in Cayman. We enjoyed preparing our own food and sat outside under the trees in private and enjoyed the Island breeze. The location is awesome, close to Smith Cove Beach - went there early mornings.The location is close to everything. It's a perfect little spot. Free Wifi. Thanks Elena, we appreciate what you did for us. This place is the find of the century! All the basics are provided and so much more. Like staying in a personal home--we had full access to a fully stocked kitchen (including a mini frig designated for us) and a lovely big living area. 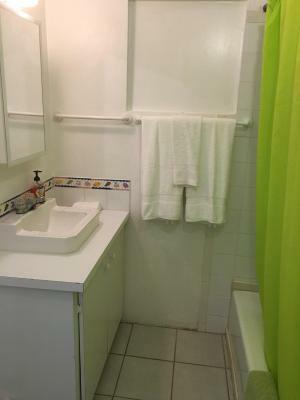 The private space was a small room with en suite bath that was perfectly sufficient. The staff is very friendly and always helpful. The bed was awesome. 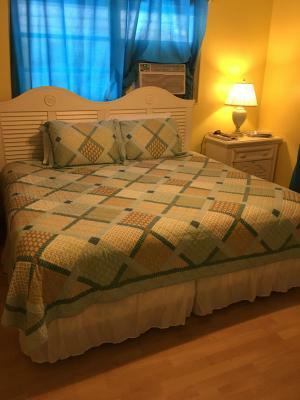 My wife and I got the best sleep there we've had in months! Everything was just terrific. This was a ‘girls trip’. Four middle-aged ladies traveled together. We were welcomed warmly by the family who owns Eldemire’s. 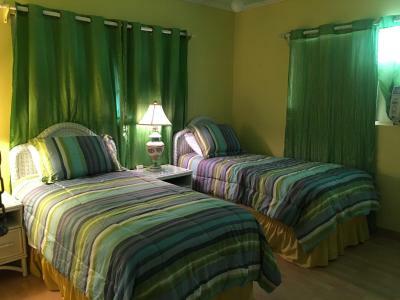 We had very clean and comfortable accommodations, which included a kitchen and a fenced in backyard with outdoor seating and privacy. Tutti had made a book full of recommendations for dining and entertainment. We took the book with us everywhere and went to most of the places recommended. We had a dead car battery on our last morning there, and called Bob promptly. He came and gave us a jumpstart so we could get to the airport LOL. We would love to go back again. We enjoyed everything. This is not a hotel with all the luxuries, it’s more of a home away from home. 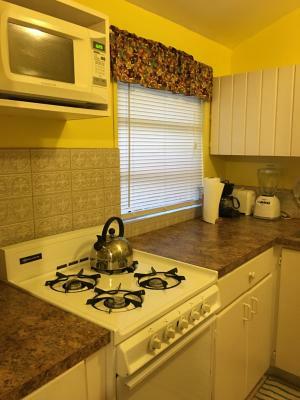 Having the full kitchen definitely helped saved money on a few nights. Overall wonderful experience! 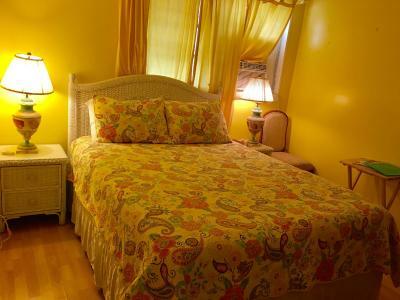 It was like staying at your good friend's guest room! 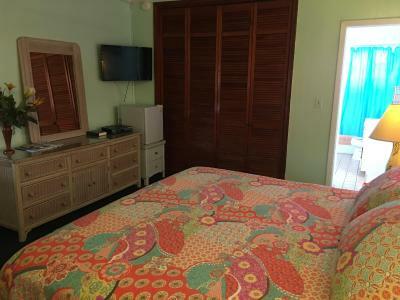 One of our top picks in George Town.Offering accommodations in George Town, Eldemire's Tropical island Inn features free WiFi and a year-round outdoor pool. Free private parking is available on site. 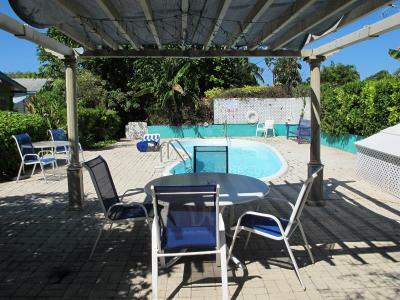 This property offers rooms, 1 studio apartment and 2 one-bedroom apartments. 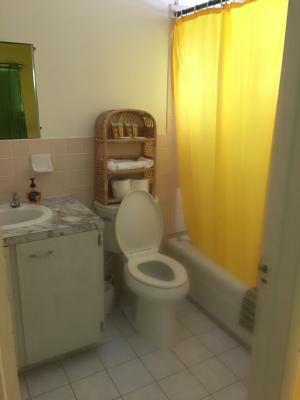 Private bathrooms, air conditioning and free WiFi is included. 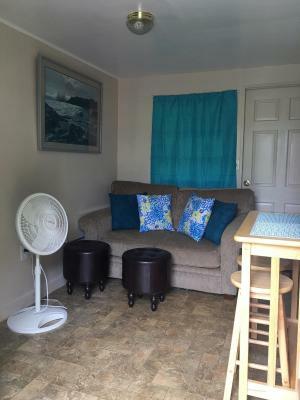 Some units include a seating area to relax in after a busy day. Some rooms feature views of the pool or garden. 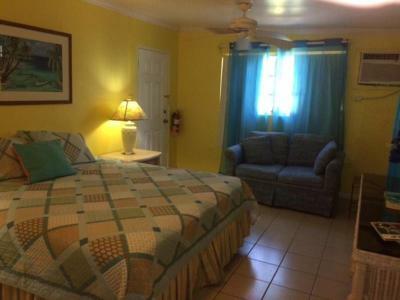 The nearest airport is Owen Roberts Airport, 2.5 mi from Eldemire's Tropical Island Inn. 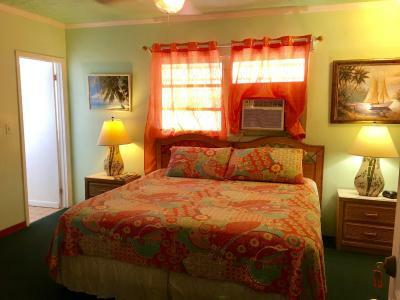 When would you like to stay at Eldemire's Tropical Island Inn? 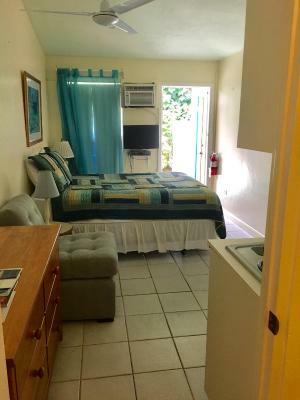 This room features a mini fridge, air conditioning, private bathroom and share a large fully equipped kitchen with fridge, stove, microwave, toaster oven, coffee and tea. 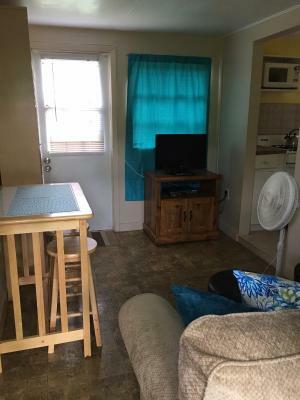 There is also a lounge area. 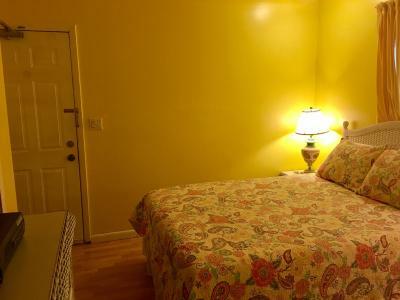 There are 4 Budget Double Rooms. 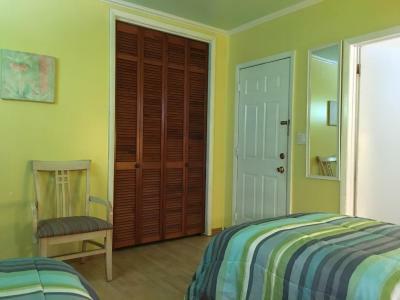 3 of these rooms can hold an extra bed. 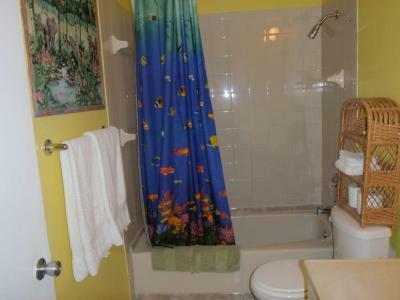 There are tub/shower combinations in these 3 rooms and toiletries. Max. 3 people. 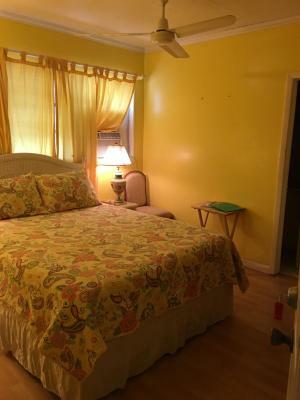 The 4th room cannot hold an extra bed. Max 2 people. 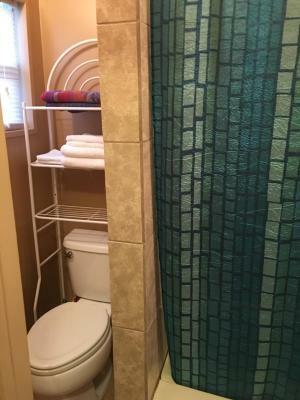 This room has a closet stall in bathroom. 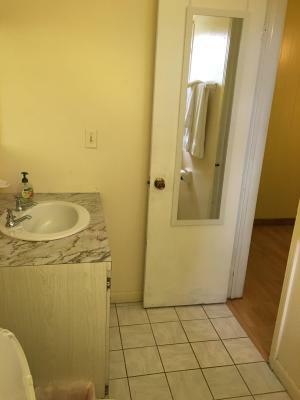 There are 2 One Bedroom Apartments. Pool view and Garden view. Both have sleeper sofas. and all kitchen facilities and complimentary tea and coffee. Maximum 4 people in each unit. 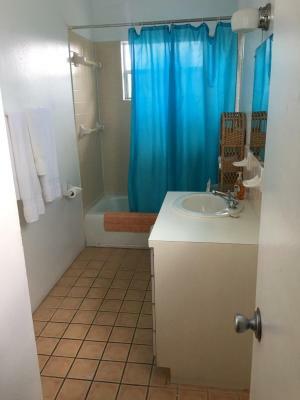 They both have shower/tub combinations and toiletries in bathrooms. 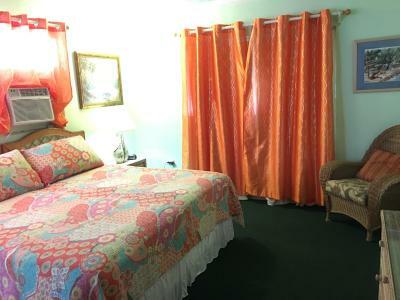 Queen Studio consists of 3 adjoining rooms. 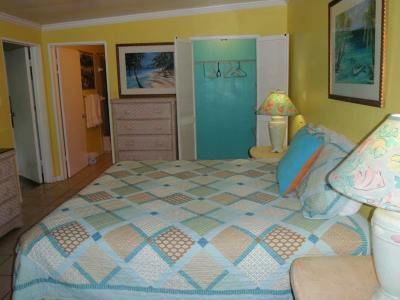 Bedroom, bathroom and kitchenette/sitting area. 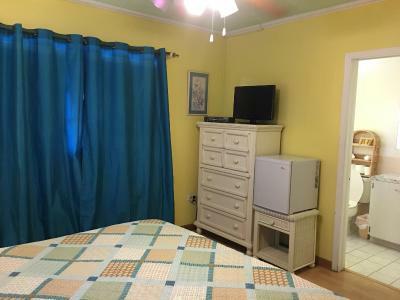 The Bedroom has a queen size bed and space for a rollaway bed. 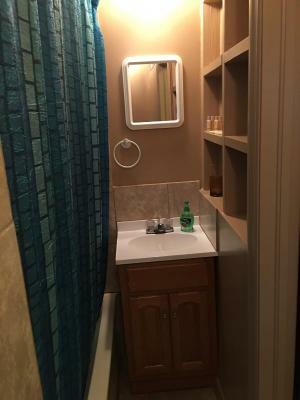 Bathroom has shower/tub combination and toiletries. 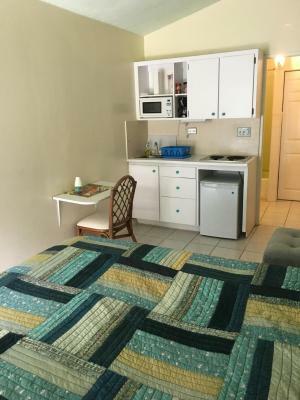 The Sitting/Kitchenette area has 2 lounge chairs, table and chairs and fully equipped kitchenette with stove top, microwave, fridge and all kitchenware. There is complimentary tea and coffee. Maximum 3 people. 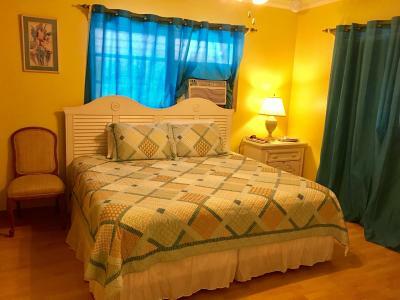 This colorful, cozy air-conditioned studio apartment opens onto a lush garden with picnic table. 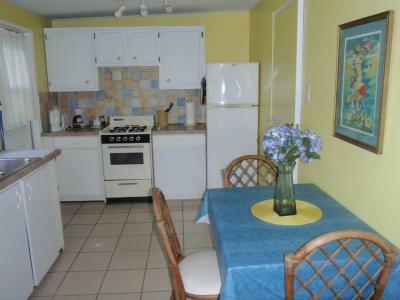 It has a comfy chair, desk, kitchenette with mini fridge, stove top, microwave, sink and kitchenware. 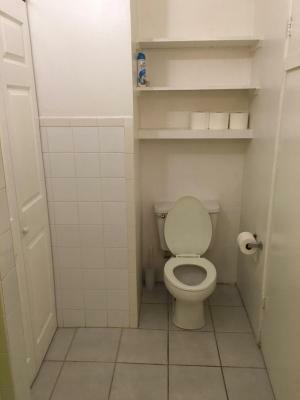 It has complimentary coffee and tea facilities. 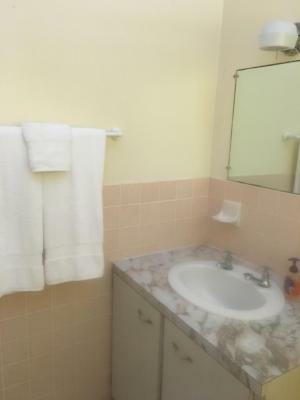 The spacious bathroom comes with shower/bath combo, and free toiletries. 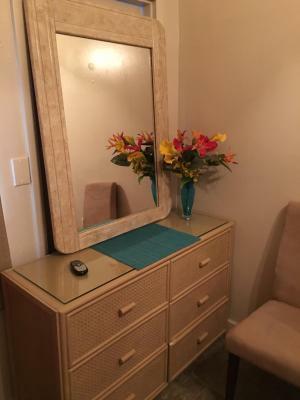 There is also a wardrobe. 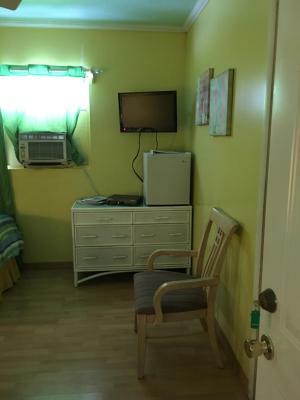 This studio has air conditioning, toaster and cable TV. 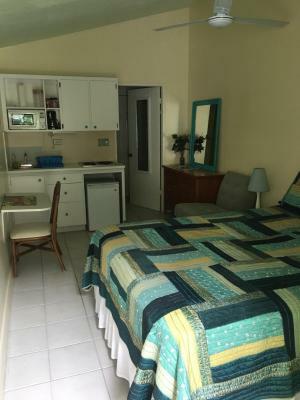 House Rules Eldemire's Tropical Island Inn takes special requests – add in the next step! Eldemire&#39;s Tropical Island Inn accepts these cards and reserves the right to temporarily hold an amount prior to arrival. Eldemire's Tropical Island Inn accepts these cards and reserves the right to temporarily hold an amount prior to arrival. Please note the property offers complimentary coffee and tea to all guests. Please inform Eldemire's Tropical Island Inn of your expected arrival time in advance. You can use the Special Requests box when booking, or contact the property directly using the contact details in your confirmation. A few more places to hang up wetsuits, towels, etc would have been helpful. The room could have been a little bigger. 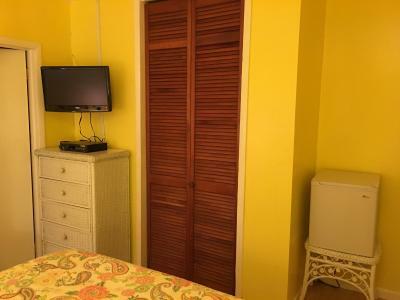 Comfortable room, good location. Problems with cockerels resolved by chasing them out from the bushes around the room in the evening, otherwise the noise was a problem. Good restaurant and bar at nearby Sunset House. 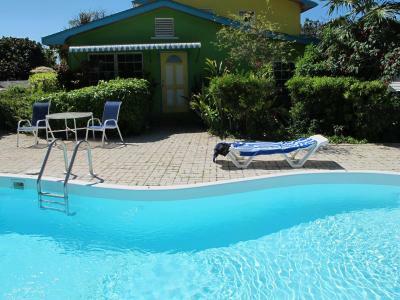 The simple Caribian style and the friendly owners/staff. The wild roosters were making very loud noises every night from 1-5 am. It's a challenge to sleep even with ear plugs. 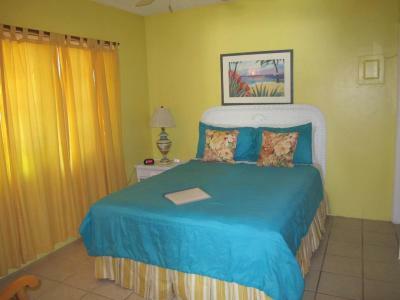 Located Quiet neighborhood, approx 15-20 min walking distance to George Town. The kitchen has most pans, pots, plates, utensils needed for making meals. The owner Elena is friendly. Really nothing could have been better as it really had it all. Nothing. 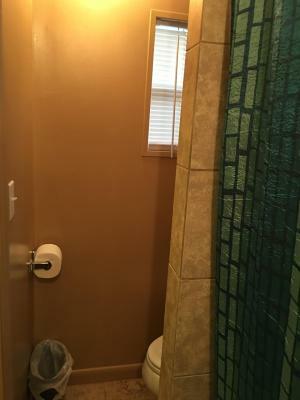 Only some very minor things could be renewed like the shower heads. Very friendly stuff, helped us out with everything we needed. Cute surrounding, nice little pool and hang out area. 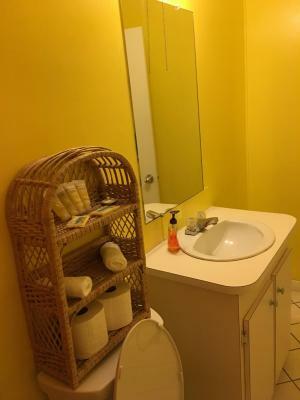 Clean, neat, comfortable and functional. Nice room. 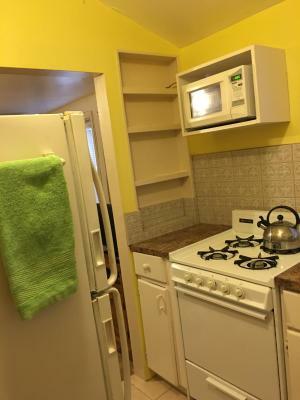 Liked access to and use of shared kitchen. Was nice to stay at a smaller inn and be able to come and go with ease. Parking was close to accommodation. Hosts were friendly and accommodating. Friendly staff. 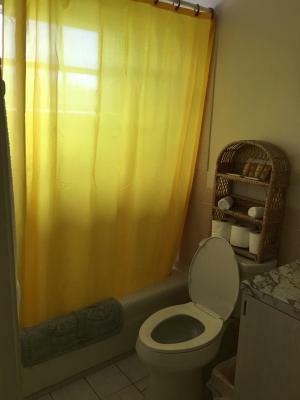 Self catering. Just like renting a small house really. Great value for money. Had a very comfortable stay. The air conditioner in the room was old and extremely noisy.